Gabriel Picart was born in 1962 in the beautiful Mediterranean city of Barcelona, Spain. Barcelona is important to Picart’s history because it is a city steeped in deep and rich traditions of artistic achievement – it was, for example, Picasso’s first stop on his road to fame. Since Picart was born, he has spent most of his life in the same neighborhood. It is the quarter where the world famous Park Gell is located. For over fifty years, Gabriel’s family lived in the concierge’s pavilion at the right of the main entrance of the Park Gell. Picart always had a pencil in his hand; by the time he was a teenager, his parents had rented the other pavilion on the opposite side of the main gate. This building, with its oddly shaped tower, was all his to work in as he chose. Picart set up his first studio and soon became so addicted to painting that he gave up a promising career in architecture. Fortune smiled on Gabriel. Not long after he had made the decision to become a professional artist, he had the good luck to meet the famous illustrator Enric Torresprat. Enric invited Gabriel to visit the studio he shared with the best ink and charcoal illustrator in Spain, Pepe Gonzalez. By the age of twenty Picart had become the third member of the studio. With the mentoring of these two great artists, Gabriel soon learned the secrets of drawing the human figure, as well as techniques of mixing paints, preparing a canvas, rendering, and the technical application of medium to surface.Picart’s career as an illustrator blossomed; he worked on commissions throughout Europe. In 1985, Gabriel went on his first trip to New York City. Picart quickly won assignments from major publishing, advertising agencies, graphic design firms and catalogue houses. Art directors clamored for his paintings because he brought a fine art style to his representative illustrations. From the very beginning of his career here, he was being compared to none other than Norman Rockwell – Gabriel’s great hero. Fine art collectors are aware of the importance of Picart’s training as an illustrator. The demands are at times almost super-human because the challenges are both technical and aesthetic. Besides being able to draw, render and paint, the successful illustrator must be able to communicate directly to the viewer. For his own part, Picart chose to master the use of oils in creating his illustrations, always with the goal in mind of parlaying this technical acumen into the painting of fine art. 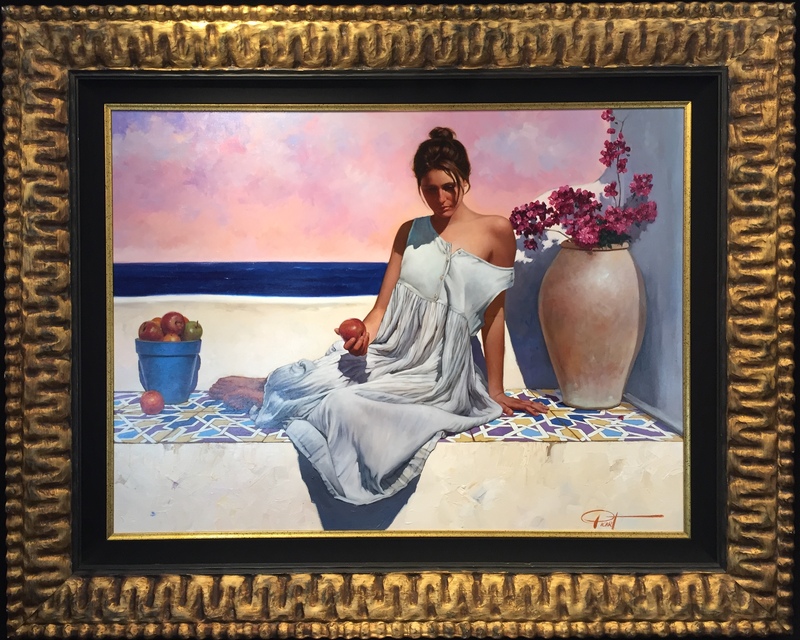 Picart found the time to do fine art paintings and began showing his work at the prestigious Sala Pars gallery in Barcelona. In 1996, he had his first U.S. show at the Wolf Walker Gallery in Sedona, Arizona. This was quickly followed by his participation in a group show of Catalan artists at Ambassador Gallery in New York. 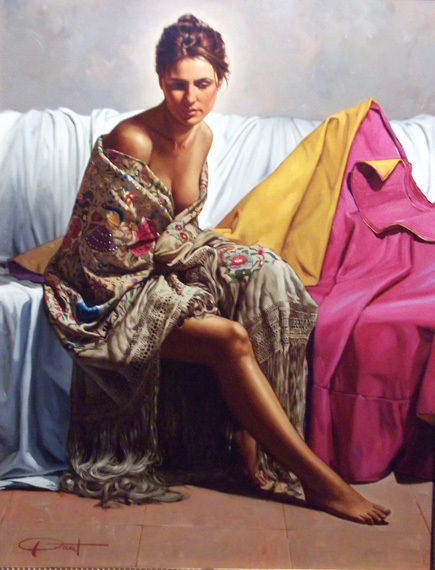 Gabriel Picart was on his way as a studio painter of fine art. Galleries throughout the US have asked to carry his pictures. As a result, he no longer accepts illustration commissions; he paints full time. Picart’s work is time consuming and destined for museum collections. 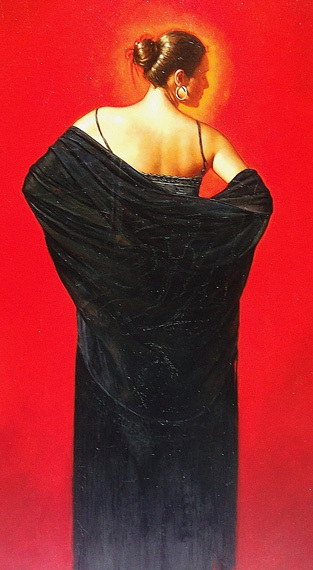 Picart considers himself a realist painter, working realistically though not photographically. 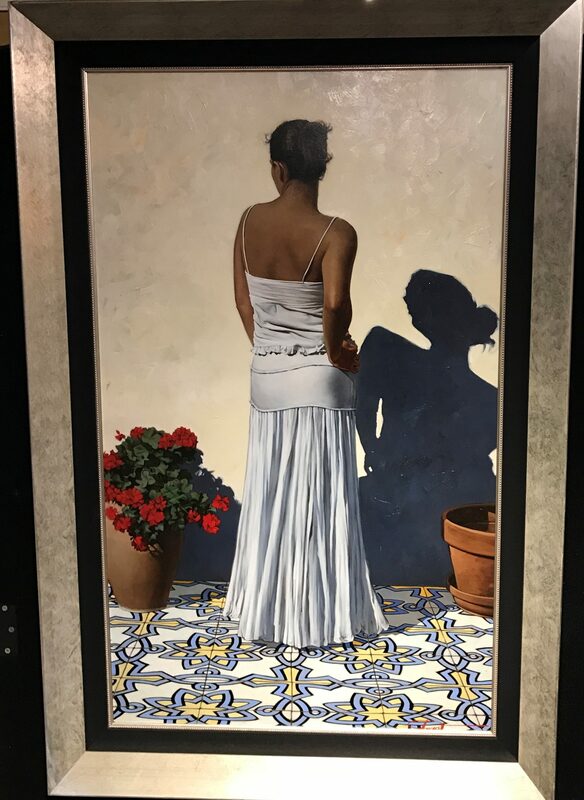 While he has also become noted for his dimensional facade paintings of Barcelona and his romantic pictures of Venice, his main love is the human figure. 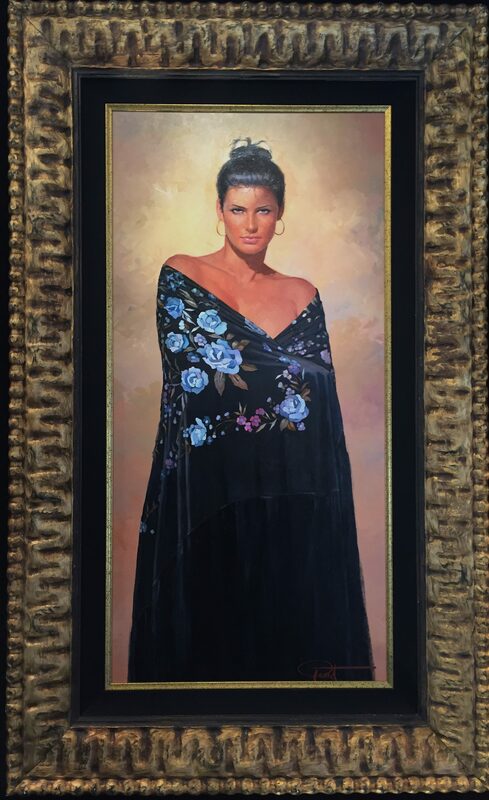 Picart’s paintings are permanently on display at some of the most recognized galleries in the US, and have attracted special attention of noteworthy critics and collectors.